New Trent’s Gladius iPad 9.7-inch case not only reliably protects your new tablet, but also lets you more comfortably enjoy it with integrated leather hand strap, stand and screen protector. This is a versatile and strong multi-layer protective case that works with 2017 iPad 9.7-inch, iPad Air 1/2 and 9.7″ iPad Pro. 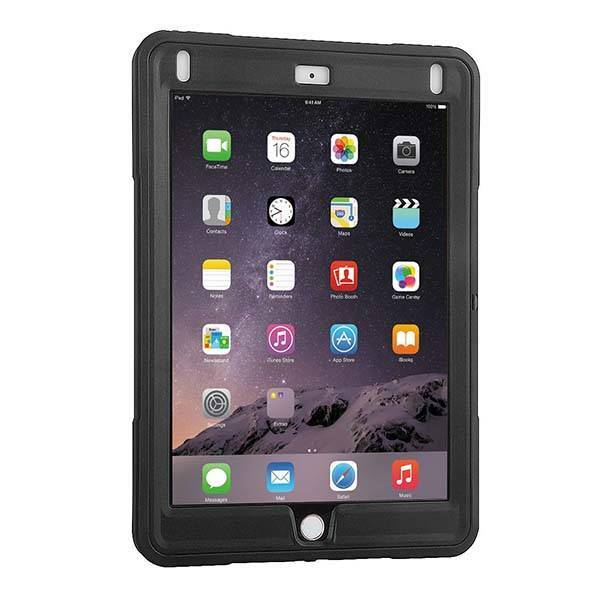 The iPad case measures 9.8 x 7.1 x 0.8 inches, weighs 12.8 oz, and as shown in the images, it shows off a tough and rugged appearance design. The three-layer structure consists of dual layer hard inner case and rubber outer shell plus a built-in screen protector, so it’s strong enough to protect your tablet from shocks and scratches. 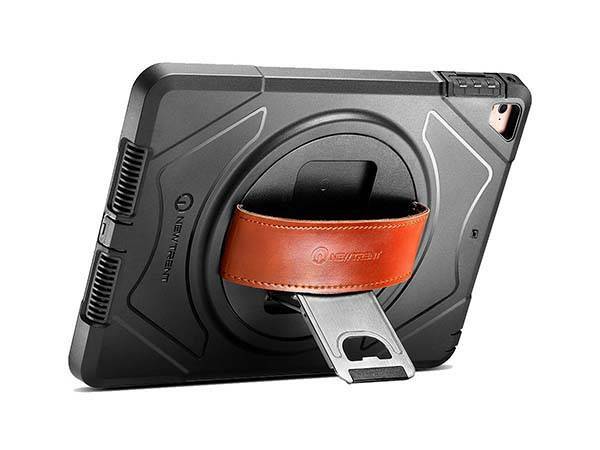 In addition to protecting iPad, the rugged case also features a rotatable leather hand strap that allows you to easily hold the iPad in your hand for comfortable operation. Furthermore, it also comes equipped with a foldable metal iPad stand for handsfree viewing. Apart from these, all iPad buttons and ports are accessible via its custom openings. The Gladius iPad 9.7-inch case is priced at $26.99 USD. If you’re interested, jump to New Trent Amazon shop for its more details. BTW, don’t miss the iPad 9.7-inch keyboard case and other related items by following tags.